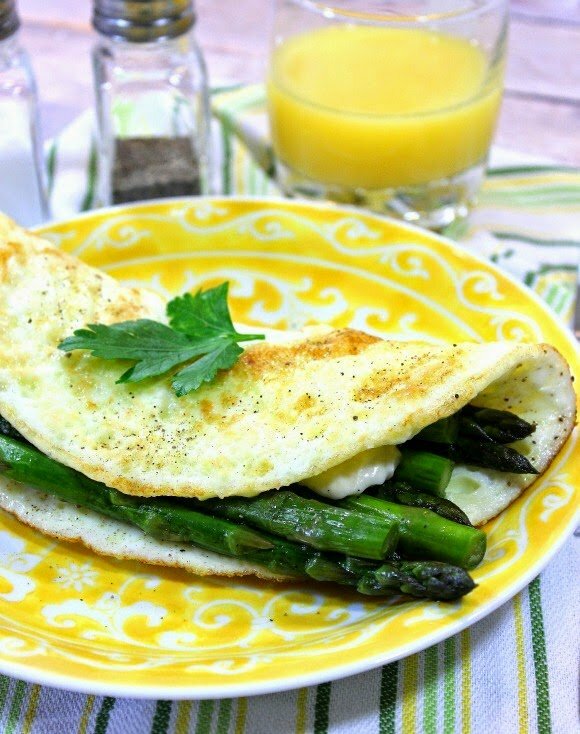 This Low Calorie Egg White Omelet with Asparagus is so packed full of flavor along with creamy low-fat cheese, that you’ll never miss the rest of the egg. And that’s no yolk! Hi Everybody! 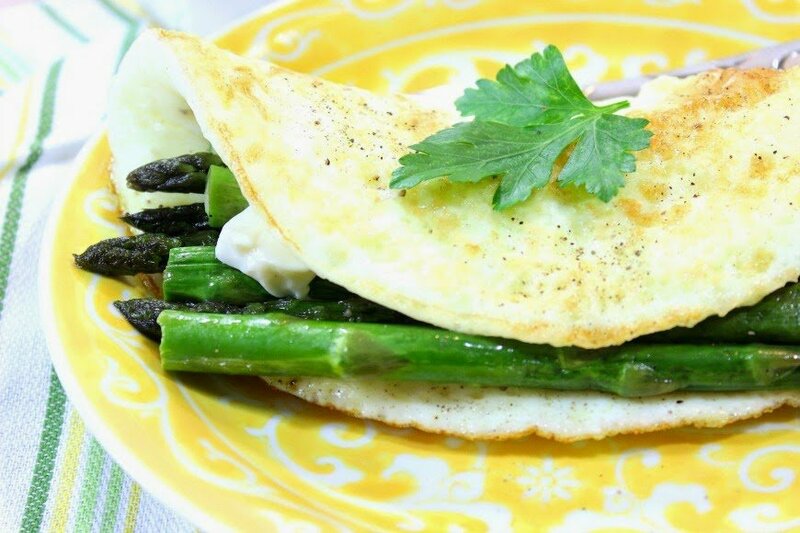 I’ve debated about posting this Low Calorie Egg White Omelet with Asparagus because I thought that it may not be all that appealing or interesting to write about or share. That said, because this blog is all about tasty food, how could I not share this quick and delicious omelet that also boasts a mere 250 calories, is low-fat, low-carb, and gluten free? What’s not to love? *Note – Leftover asparagus spears work wonderfully well in this recipe. If however you don’t have any leftovers in your fridge, just wrap the spears in a damp paper towel and microwave for 1-2 minutes depending on your microwave and how well you like your asparagus cooked. Season with a pinch of salt and a pinch of pepper. -Heat the oil in the skillet over medium heat. Pour in the egg whites and season with salt and pepper. Cover the pan and cook until puffy and almost cooked through (approximately 3 minutes). 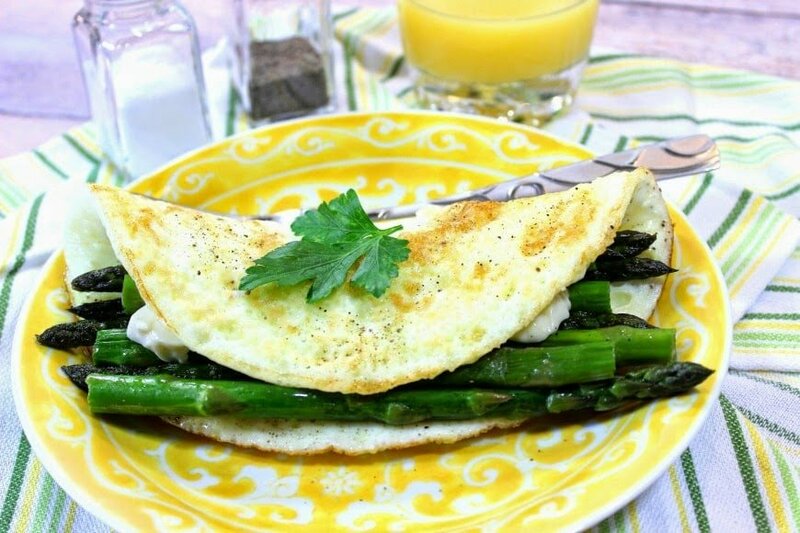 Remove the cover and lay the asparagus spears on half of the omelet. Dollop the cheese randomly over the asparagus. 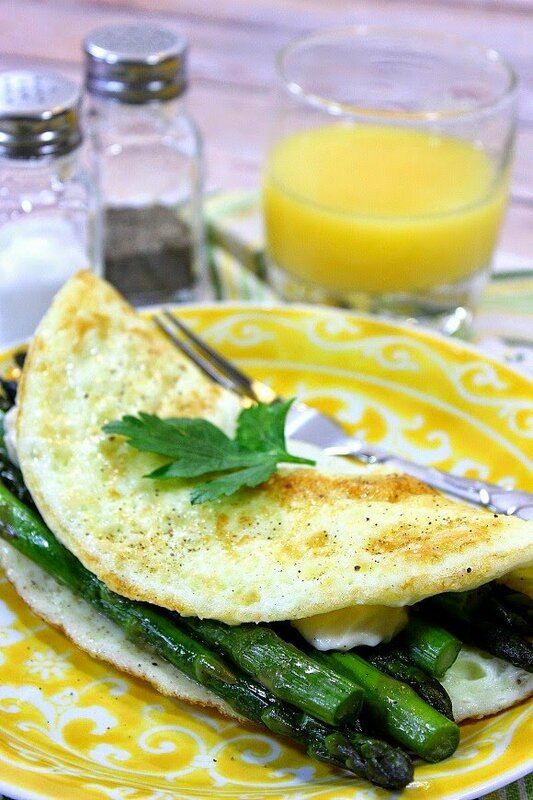 Turn off the heat and use a spatula to flip the top part of the omelet over the asparagus. Cover to allow the heat of the pan to melt the cheese. 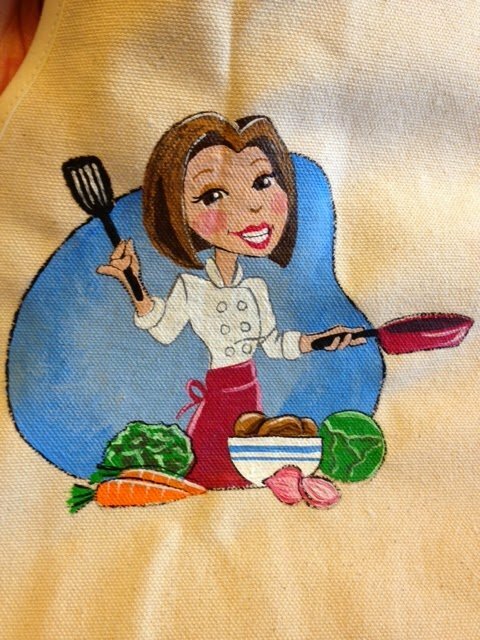 Carefully transfer the omelet to a plate and serve immediately.